Making Art is essential to the well-being of my Heart. Nothing brings greater pleasure to a Maker than to create joy for someone else. 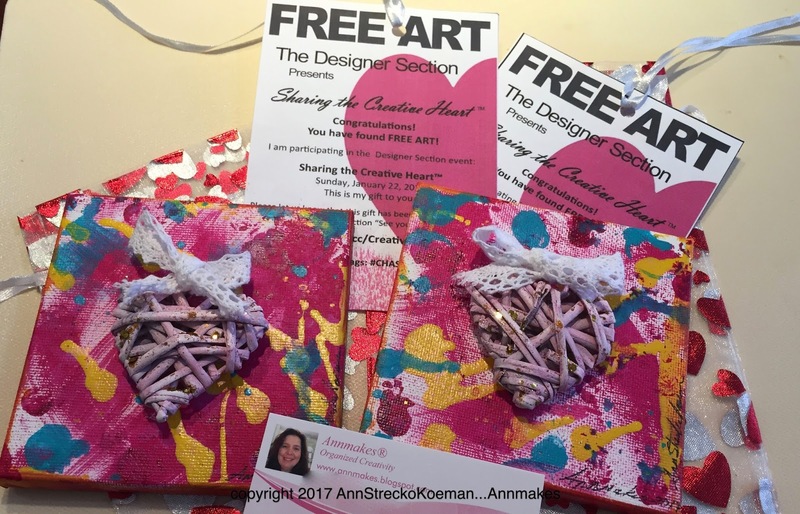 During the Creativation Trade Show, which took place in Phoenix Arizona January 21-23, Designers participated in the Heart Art RAK (Random Acts of Kindness) event on a Sunday morning. 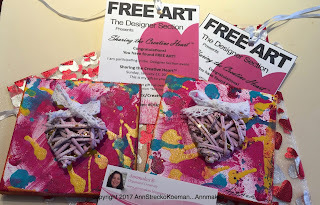 I, along with many fellow Designers volunteered to create some pieces of art with Hearts as the theme, which we then left in the public spaces on the Trade Shown floor for others to find. Our hope and intention were just to bring some joy to random people. I know that one of my pieces which were found and claimed by individuals who then shared it on social media. It warmed my heart to know that some small piece of art that I made could bring happiness even if only for a brief moment to someone. We have since become friends on Facebook, and I hope to retain that friendship for a long time. 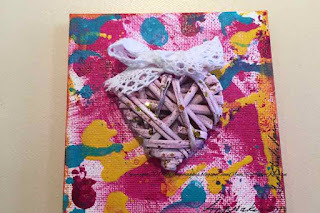 While the paintings were drying, I added some sprays of colors onto the white based wicker hearts. A tip I have for you is to remove the lace before spraying, so it maintains its whiteness. I also added some glitter to make the hearts sparkle. 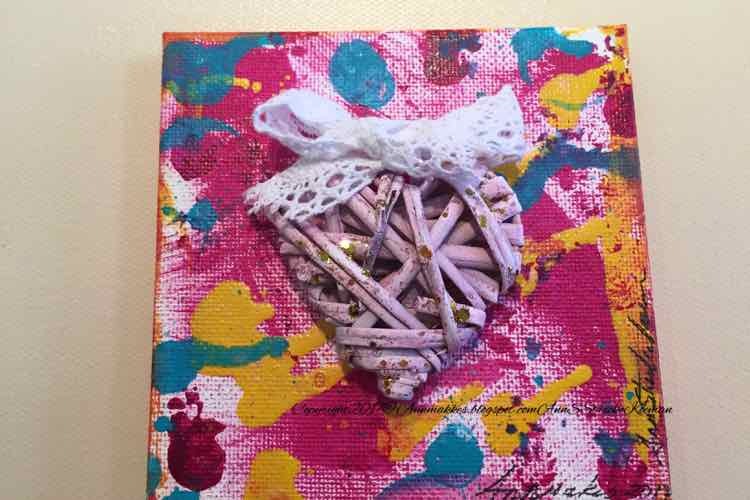 Once everything was dry, I used hot glue to adhere the hearts to the canvas. Here are links to purchase similar products online. I am affiliated with these sites and will receive just a lil' bit of money if you purchase from these links. Thanks.